Get out onto any terrain in any weather with a light foot and a clear head. No need for compromises. 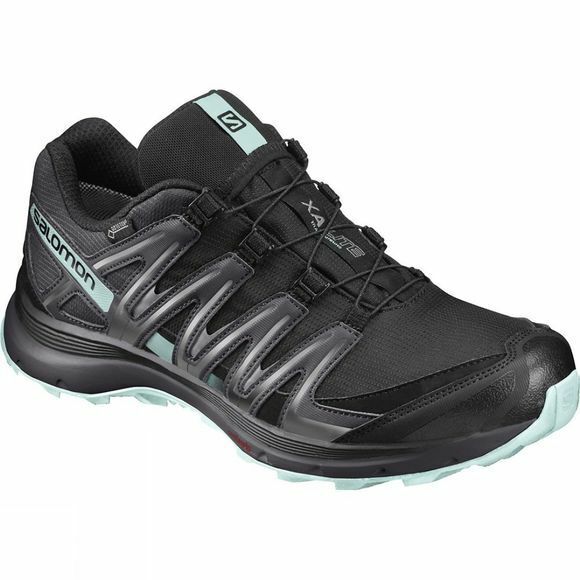 The Women's XA Lite GTX Shoe is your ideal game partner, swift, steady and long-lasting. Born in the expansive French Alps, Salomon have specialised in making the finest outdoor footwear, clothing and equipment since their beginnings in 1947. They have a passion for progression, advancement and quality that shows in every piece. Always looking forward, it is the drive and ambition of their designers and engineers that has enabled Salomon to stay at the forefront of innovation, whilst their elite athletes tirelessly test the kit until it is fine-tuned for every challenge. Salomon use only the best and most advanced materials, so you can be confident that in the field your kit won’t let you down.